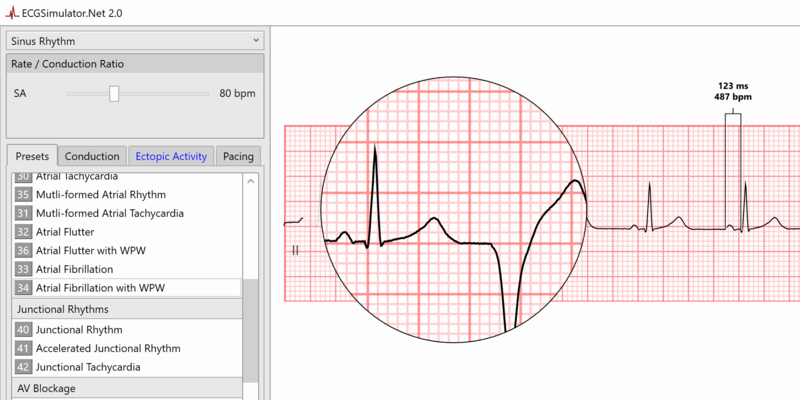 The long awaited successor to our popular ECG Simulator software is finally here! 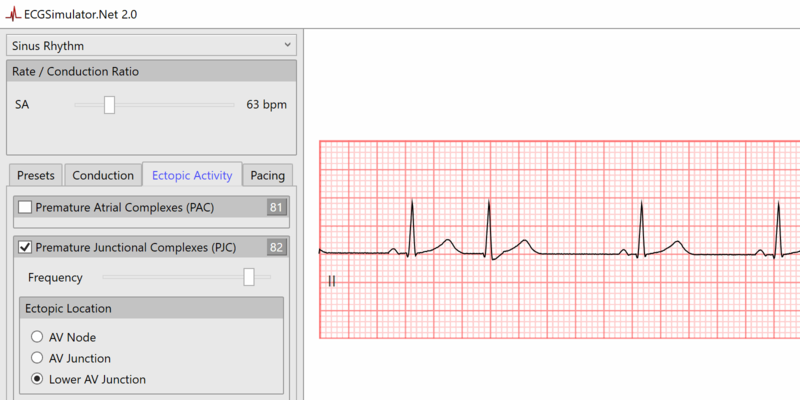 The most advanced Heart Simulator and Software Rhythm Generator ever! 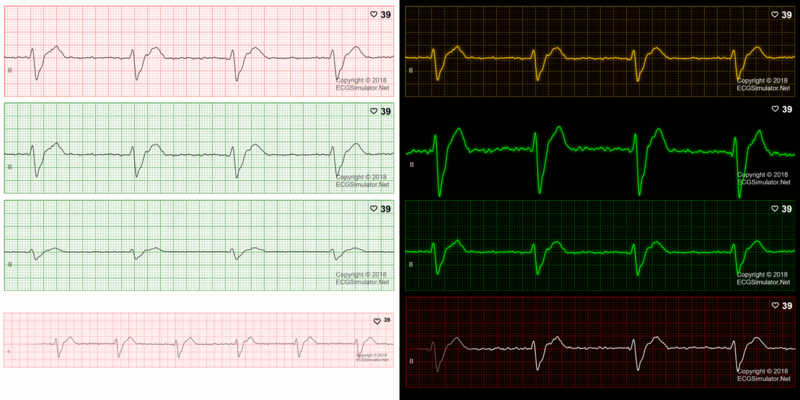 Combine conditions, ectopy and pacing to create rare and instructive rhythms not offered in other simulators. We already had the most rhythms of any simulator on the market. We've added many more and there are more on the way! 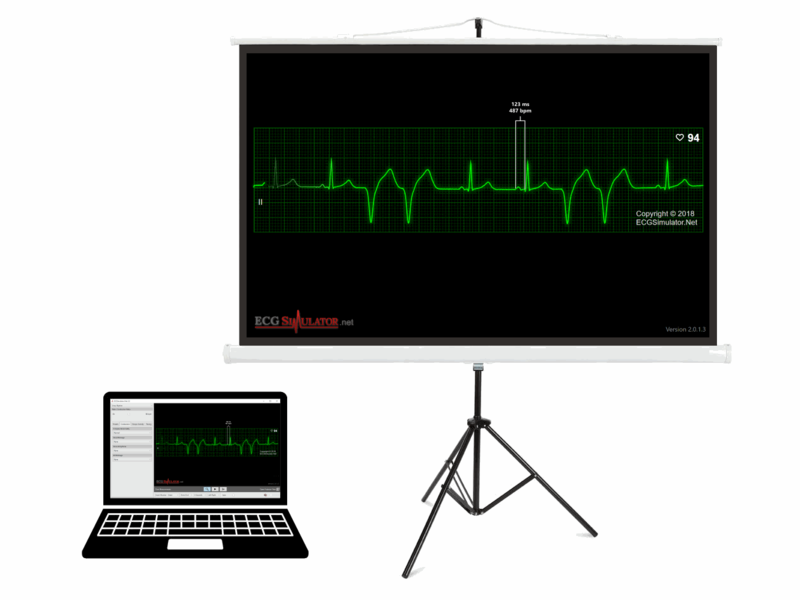 Use the on-screen measurement tool to measure rates, intervals and voltage and get a closer look with our built-in magnifier. 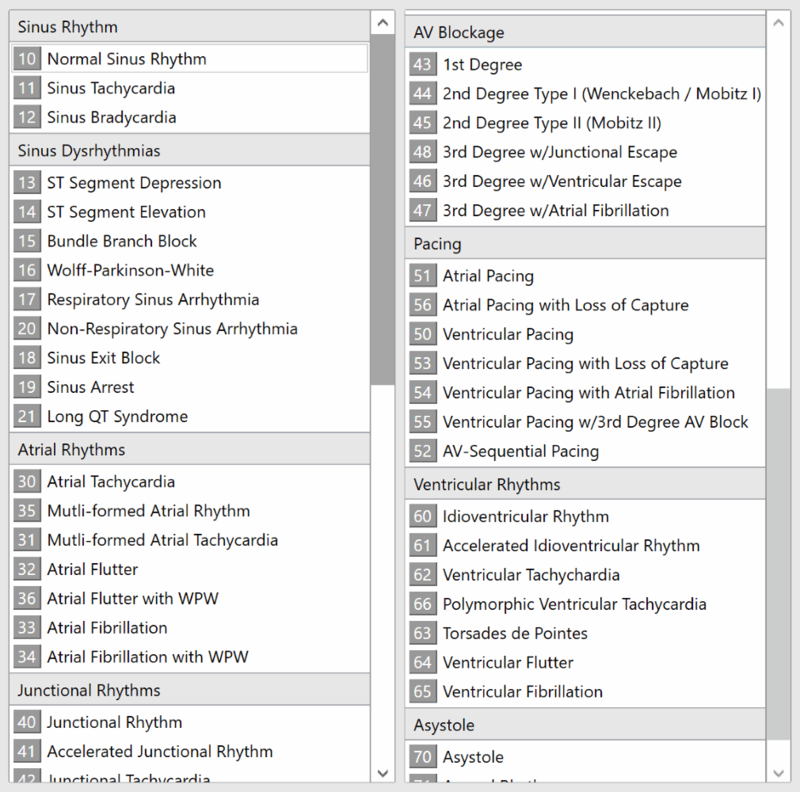 Rhythms are now much more life-like with higher resolution samples, subtle beat-to-beat variations and a wandering baseline. 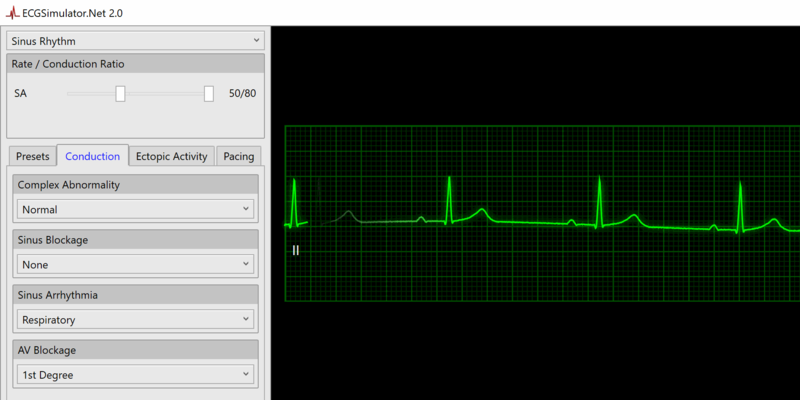 Change heart monitor colors, duration, scroll direction and even adjust the voltage gain! 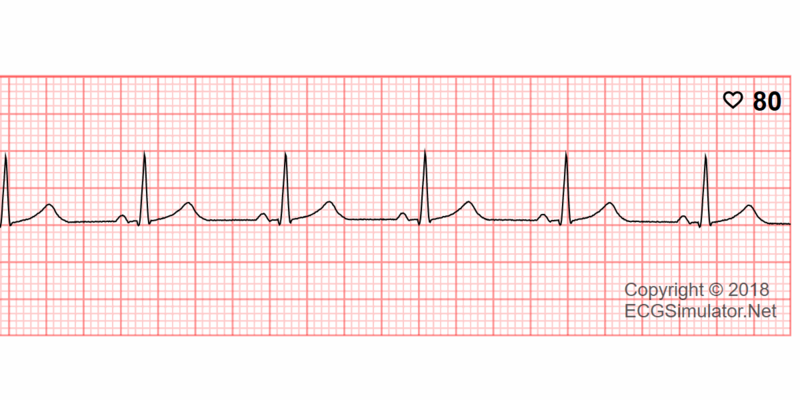 Keep all the controls and the heart monitor on your primary screen and show just the rhythm on a second screen or projector!